Houston, Texas – Today the Republican Party of Texas (Texas GOP) the state’s largest and most effective advocate for promoting a conservative philosophy of government, voted the Republican Hispanic Citizens In Action committee as an official State Republican Group. 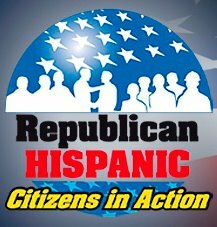 “It is imperative that Hispanic Republican groups come alive given that we are now the largest minority in the Nation. Moreover, in the 2012 Presidential election, Blacks outvoted Hispanics 65% to 50% which indicates it is a wake-up call for Hispanics to get more engaged in the political process” said Eric Melchor, RHCIA member. To get it on the action and attend the next RHCIA event, the next meeting will be held at Fratelli's Ristorante, 1330 Wirt Rd., on January 8th, 2013. It is located in Spring Branch. For questions, please contact Eric Melchor at e_melchor@yahoo.com. Congrats to the RPT and the RHCIA. Back in 2000-2002, my organization, the RNHA (Republican National Hispanic Assembly) could not grow beyond the 19 county chapters we established, after a lot of hard work. The RPT refused to share its database of Hispanic Republicans with us so that we could grow the RNHA. There were other "issues" we had with the RPT, back then. After that period, the RNHA started to lose influence and viability. Look at the impact today of those ill-advised RPT policies of 2000-2012.